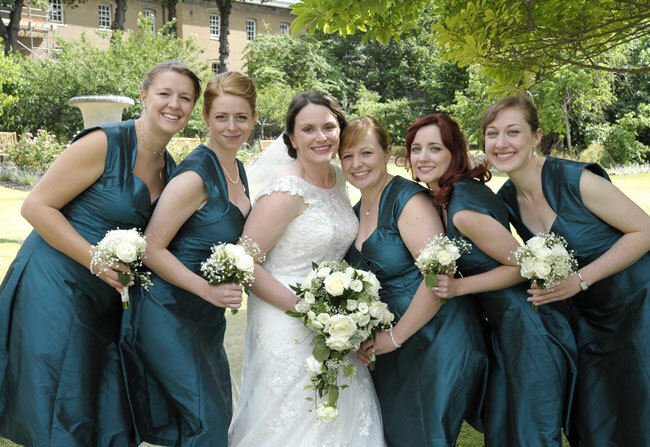 Commissioners House is set within the Historic Dockyard,Chatham, Kent. One of my favourite wedding venues to work at. Completed in 1704, for the Commissioner and his Family. The house was built for entertainment and is now used for weddings and corporate events. 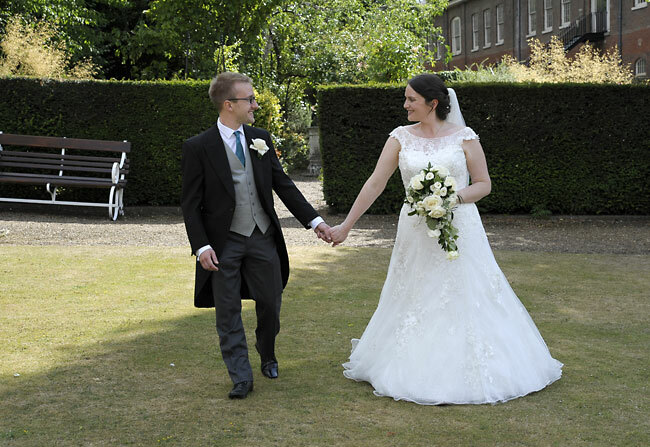 Commissioners House is licensed for Civil Ceremonies and Civil Partnerships. 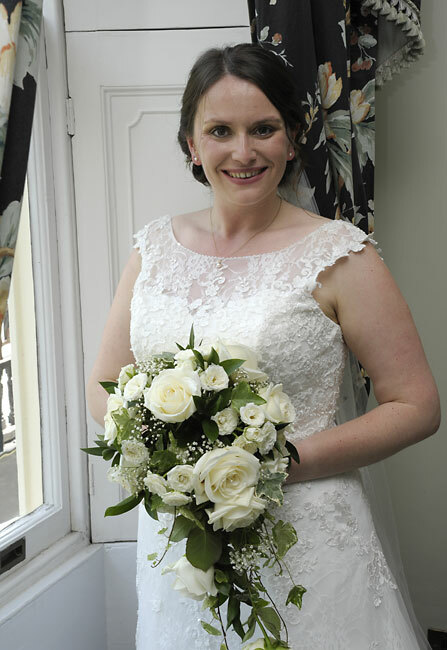 Weddings at Commissioners House are held within the house at either the Ballroom which is downstairs or the Sunne Room which is on the first floor. 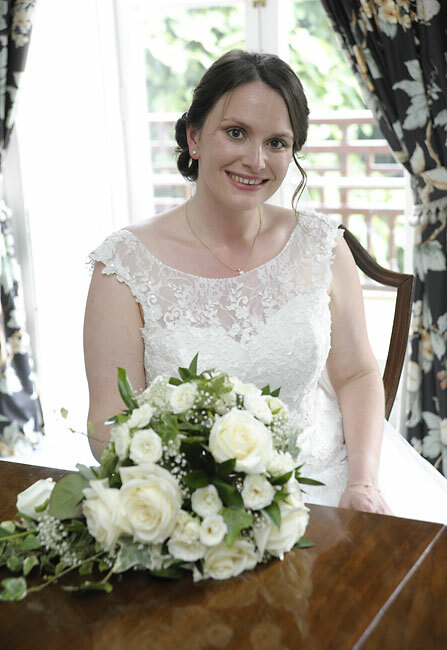 The Ballroom at Commissioners House holds up to sixty guests and the Sunne Room also holds sixty and can be extended to eighty guests with the annexe in use. 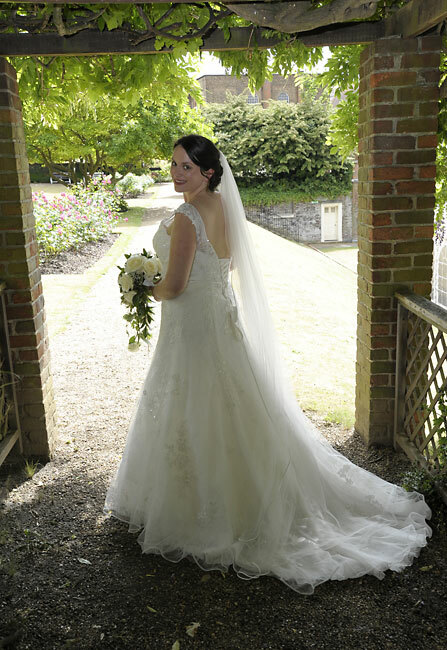 I have many photography packages to suit weddings at this venue. My most popular package is the Ruby package which includes complete coverage and a 10X10″ photo book. 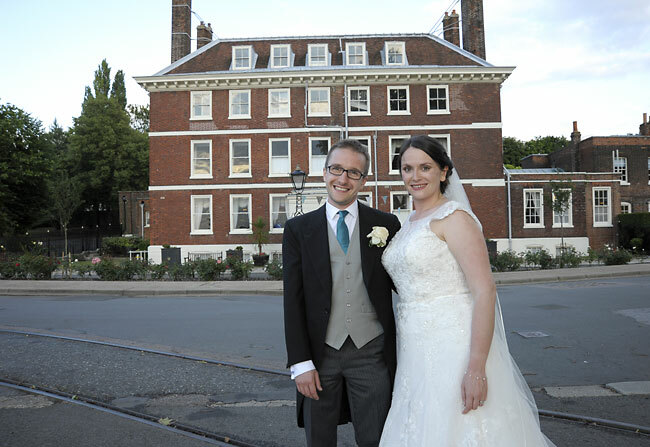 Commissioners House is a lovely reception venue to use if the bride and groom are marrying in a church. There is ample free parking. 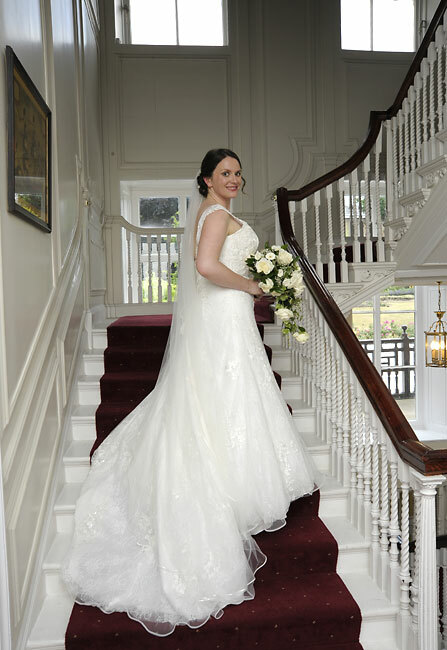 Once the bride and groom arrive through the entrance hall they are greeted by a lovely sweeping staircase which is lovely for photographs. 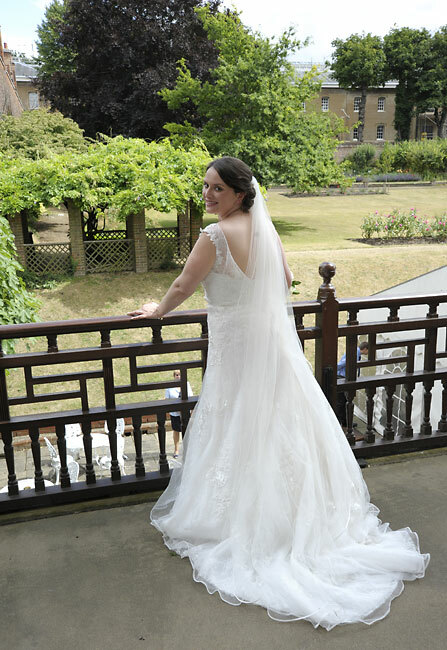 Once married , drinks are served on the lower terrace or on the Commissioner House Lawns. 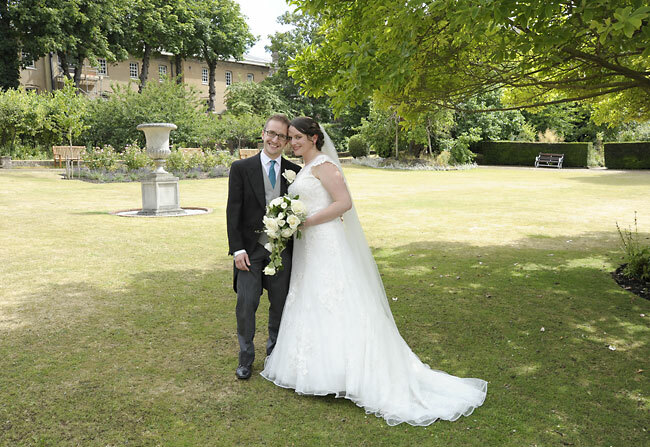 The Edwardian Gardens lend themselves to wedding photography with many areas for those special shots. 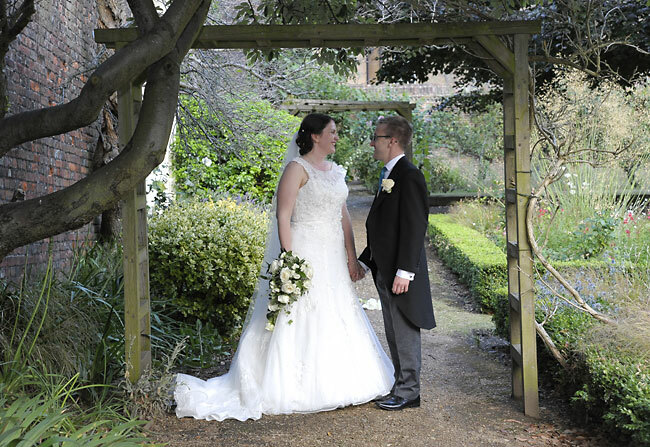 Once I have photographed all the Family groups I take the bride and groom around the grounds and house for those special photographs of the happy couple. There are many areas within the Commissioners House and balcony that I like to use and my style is traditional with reportage mixed in. 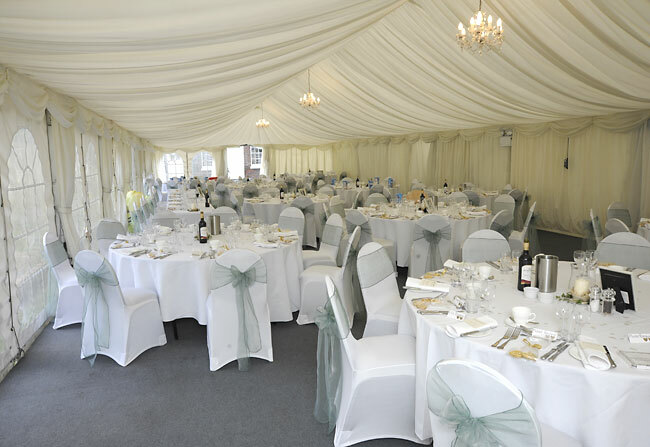 The receptions for larger weddings at the Commissioners House are held in the Pavilion Marquee. 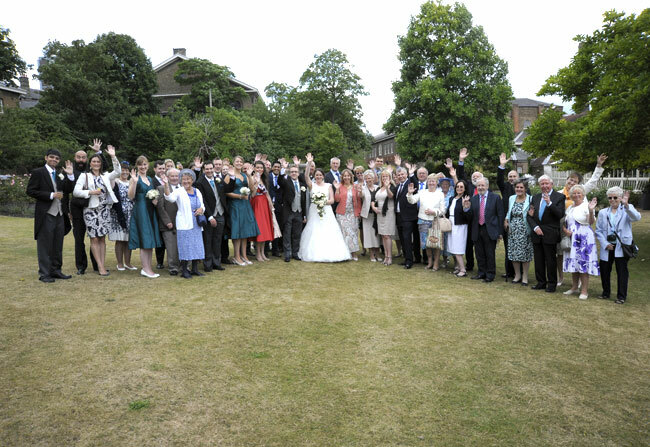 It can seat one hundred and thirty guests for the wedding breakfast. 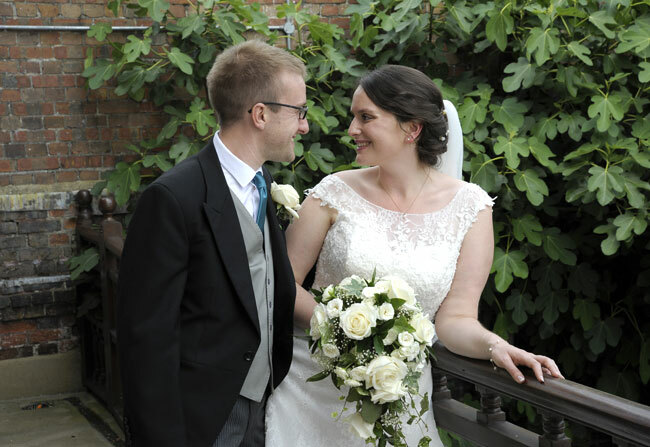 Once the speeches have been done the guests can enjoy the lovely grounds and lower terrace with their drinks. 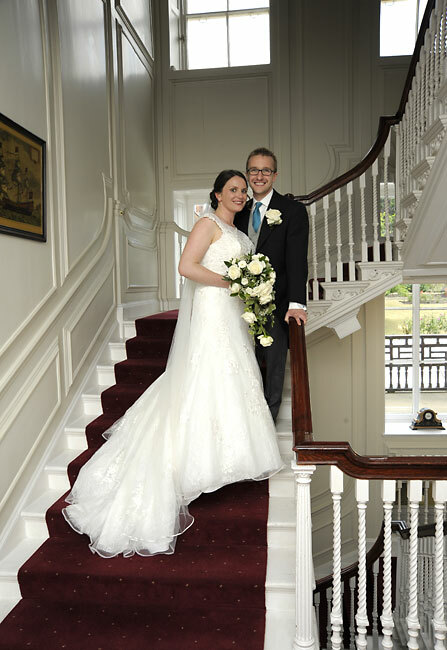 The first dance is held in the Ballroom at Commissioners House and this room has a sprung floor for dancing. Once the bride and groom have had their first dance the guests can join in for the rest of the evening. 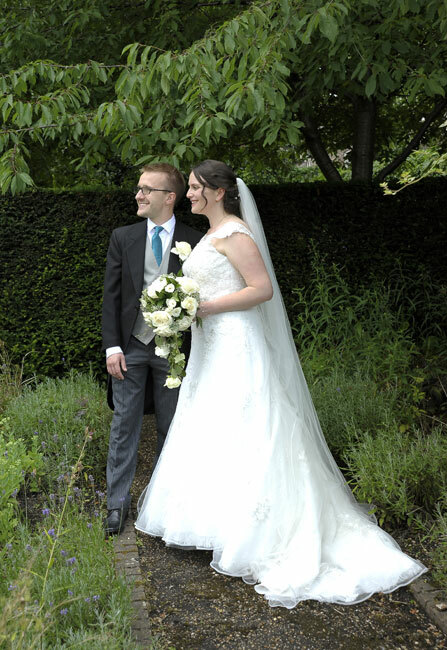 Within a couple of days my photographs are on-line for the bride and groom to see and share with Family and Friends via their unique password. 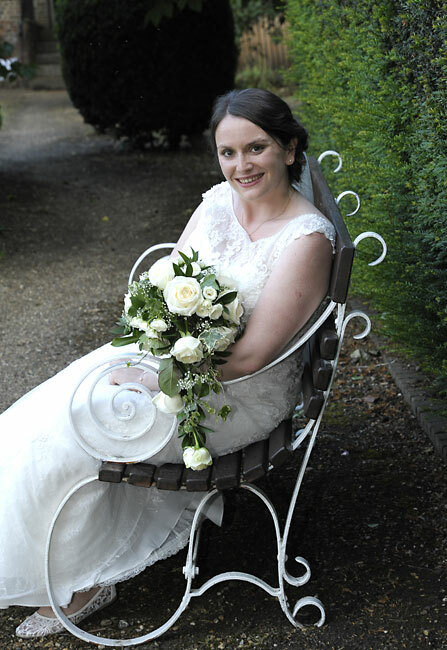 All my photography packages include a hi-res dvd of all the images taken.